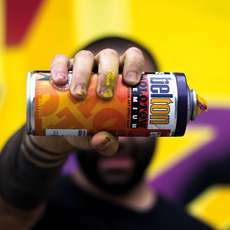 1999 MOLOTOW™ PREMIUM, the first street art optimized spray can worldwide, was launched – developed with artists for artists. 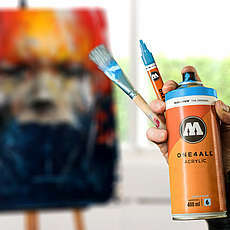 The low odor ONE4ALL™ spray can is the perfect equivalent to the ONE4ALL™ acrylic marker system. Perfect for mixed media.